Do you ever have problems maintaining consistent temperatures when processing your film or paper? The new ProcessMaster II Compensating Process Timer is the answer! 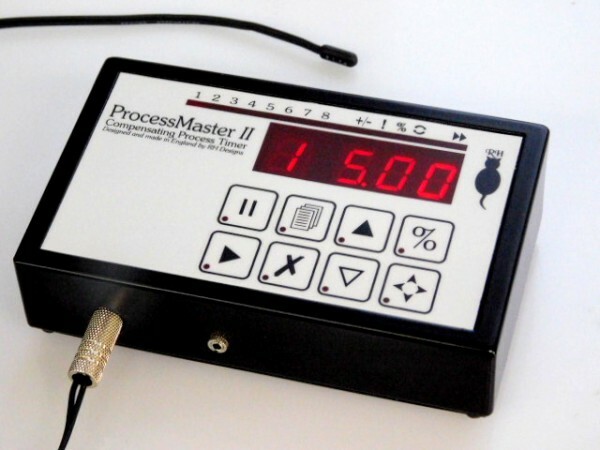 The ProcessMaster II is a fully programmable Process Timer with several unique features. In addition to its eight programmable sequences of nine time steps the ProcessMaster II has a built-in thermometer probe to monitor chemical temperatures during processing and automatically adjust the processing time if the temperature changes. The probe can be placed directly in the developing tank or tray (as shown right, using a Paterson developing tank), or in a water bath, and will monitor the temperature during the process. Should the temperature fall the process time will be increased to compensate. Similarly, if the temperature rises the time will be decreased appropriately. The ProcessMaster also has a “factorial development” mode for improving consistency when processing black and white prints in trays. This is based on the “Watkins Factor” method in which the time taken for the image to first appear on the paper is multiplied by a factor (the “Watkins Factor”) to determine the total development time. As the developer gradually exhausts during a printing session, optimum developing time increases; this method of timing effectively compensates for that exhaustion and maintains consistency. When the image first starts to appear on the paper, simply press the Start key or the footswitch and the ProcessMaster II instantly calculates the new development time. The factor can be set between 2 and 8; 6 is usually recommended. So for example if the image starts to appear after 20 seconds and the factor is set to 6, the total development time is 20 plus 6×20 or 140 seconds. Adjustments to development time for Zone System purposes or contrast control are often expressed as a percentage of the normal time – for example “for low contrast subjects increase development time by 10%”. The ProcessMaster makes this easy – at the press of a key the remaining time display changes to show the percentage of the total so far elapsed. If you need to reduce development by 10% say, simply stop the timer when the display reaches “-10%”. An optional “run-on” mode allows the timer to continue to run after the programmed time has elapsed and the display will count up (to a maximum of 100% or double the programmed time) so you can easily add a percentage to the normal time. The display can be switched between percentage and real time whenever the timer is running. We think all darkroom timers should have a footswitch for hands-free operation, and the ProcessMaster II is no exception! The timer has a pause and resume feature, and timing can be set to pause between steps or to run the whole programme without pausing but with audible prompts at the completion of each step. A big LED display and illuminated keypad mean that unlike most LCD timers, you can use the ProcessMaster in complete darkness. If you want to use inversion agitation with a hand developing tank, a waterproof cable gland is available as an accessory. Fitting this to the tank lid as shown in the illustration on the right allows the sensor cable to be threaded through the lid and provides a leak-proof seal. Fully programmable sequence timer has eight programmes, each of which can have up to nine time steps. Each time step can range from 5 seconds to 2 hours. Built-in temperature probe optionally monitors chemical temperatures during processing and automatically adjusts process time to compensate for changes. Please note: this compensation feature is for black and white processes only. Large easily-read red LED display with adjustable brightness level. A footswitch is available as an optional extra for hands-free operation – see the accessories page. Optional percentage display allows easy time adjustments, e.g “plus 10 percent” – useful for Zone System adjustments and compensation for developer exhaustion. Factorial Print Development mode for increased consistency as developer exhausts. Programmed times can be modified “on the fly” for temporary adjustments. Audible count-down during the last 10 seconds of each step (optional). Any step can be set to continue counting up after the end of the programmed time has expired, with elapsed time displayed in seconds or as a percentage of the programmed time. Pause and resume feature, plus your choice of pause-between-steps or continuous timing. Power-saving feature switches to stand-by after 30 seconds idle time – this feature can be disabled if desired. Powered by a single PP3/MN1602 type battery (included) or from an optional plug-in mains power supply . Splash-proof case and tactile touch sensitive controls for reliability. Full two year guarantee, plus 14 day refund if you are not completely satisfied. 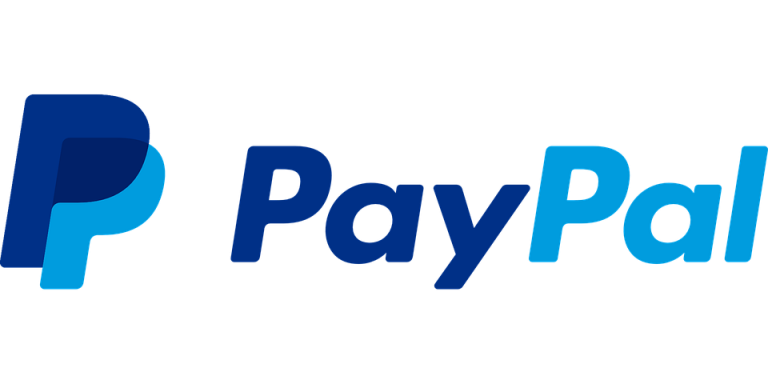 Watch these QuickTime videos to learn more about the ProcessMaster at Beyond Monochrome to see videos about all our products with explanatory notes. Please note that the flickering visible on the display in these videos is a result of the recording process and is NOT representative of the product – the display looks steady to the eye. Eight programmes each of up to nine steps. Step length 5 seconds to 120 minutes (2 hours). Display type: 0.52″ (13.2mm) Red LED, 4 digits. Illuminated keypad with low battery indication. External temperature probe with a range of 15-30 degrees C.
Power source: 9v DC from internal PP3 / 6F22 type battery, or from an external power supply. Note on power supplies: The ProcessMaster II is supplied with a battery and can be used anywhere. However, if you prefer to use mains power we can supply UK or European type mains power supplies. For countries which use other mains standards (e.g. the USA) choose our Universal Power Supply (this includes interchangeable plug tops for UK, Schuko and USA standards). Suitable power supplies can also usually be obtained from local electrical retailers. Please see the ProcessMaster II User Manual for more information.